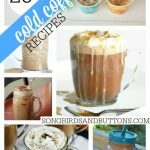 Iced Coffee Recipes - Delicious recipes to try at home! Happy Thursday! Hope you’re having a great day so far. 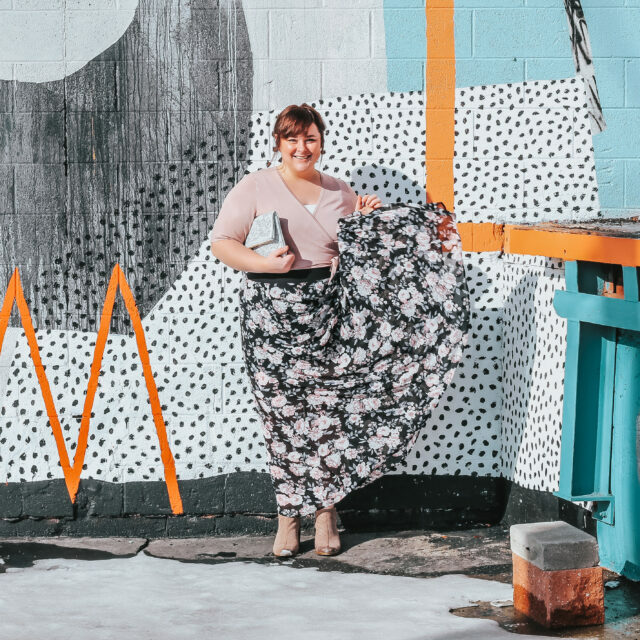 The temperatures are rising here in Michigan and I’m finding myself craving a cool iced coffee in the morning instead of my regular hot cup of joe. I’ve been searching for different recipes, and I’ve collected a few of my favorites. Naturally, I needed to share them with you because who doesn’t love a delicious iced coffee?! Check out the amazing recipes below and be sure to let me know which you’re going to try! I can’t wait to try these for my husband over the summer! There’s so many good ones I’m not sure which one to start with LOL. Thanks for sharing all these great recipes! 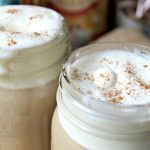 I love iced coffee, so these recipes sound amazing to me! Creme Brulee Iced Coffee sounds absolutely amazing! Thank you for sharing such an amazing ice coffee collection. 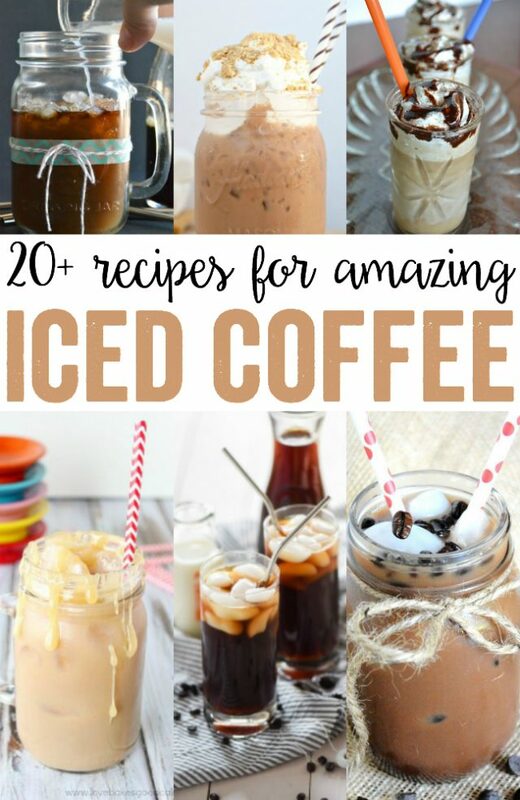 I love love love iced coffee, so these recipes will definitely be put to good use! Thanks for sharing them, and finding them, because YUM! Now these look incredible. Bookmarking to try these later. 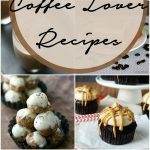 I love coffee recipes. Thanks! These sound amazing!!! Ineed to be a bit more adventurous when it comes to coffee…I usually prefer a nice homemade cup of espresso! 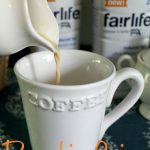 I love coffee and this is a great list of coffee recipes. I want to try all of them. Thanks for sharing the links. These iced coffee sounds amazing! I try to make mine at home to save money, I am going to have try some of these out. Omg so many yummy recipes!!!! Iced coffee is seriously the best! Especially during the summer! I’m not a coffee drinker, but these look amazing. I’d give them a try just because they look so good. The salted chocolate iced coffee sounds really good right now. I love ice coffee. I’m going to have to try a few of these recipes. I currently make brewed ice coffee using coffee, ice, and flavored creamer. It is so good. I recently started drinking more coffee. This sounds delicious, will definitely check out the recipes. My husband is a coffee addict, I know he will enjoy this. Living in northern Michigan I completely understand your excitement in the temperatures rising! These iced coffee drinks sound awesome! It’s supposed to be in the 70s after Wednesday so I need to try these out! I initially might say that I’m not a fan of ‘iced coffee’ but hey, -STARBUCKS Frappichino is basically that, -right?